Welcome to Crystalhobbies.com. We are a full service, manufacturer and wholesaler of premium gifts and promotional items, including but not limited to, Customize crystal products, Sub-surface laser engraving, Color image crystal, Crystal Trophies and Awards. In addition, we also carry a wide range of Religious products, Party Favors and many unique gift items. Let us capture those precious memories (Wedding, Sweet 16, Quinceañera, Anniversary, Company Event, Baptism, 1st Communion, Retirement, and Sports Moments) for that special someone. Whether it is one piece or 1,000 pieces, no job is too small or too large. W.E. 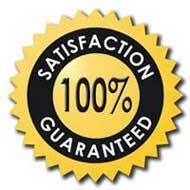 are capable of handling large quantity (1,000 pieces) custom orders in a week turn-around-time. Now we add another line of unique handmade Jewelry Holders such as Shoe ring holder, Doll Jewelry Holder Stand. We also have Thousands of items not listed on our site which are available to purchase wholesale....fell free to contact by any method convenient for you. At Crystalhobbies, we offer special pricing for Schools, Churches, Non-profit Organizations and other business entities. Call us and find out what W.E. can do for you.... REMEMBER TO ALWAYS ASK FOR QUANTITY DISCOUNT. BEST SELECTION... BEST PRICES... BEST QUALITY... BEST SERVICES.... FASTEST TURN AROUND TIME ON LARGE ORDERS. Feel free to contact by any method convenient for you. We genuinely want to hear your questions, special requests, feedback, or any suggestions you may have.